** Selected English translation inserted by Lotuschef. Please do your own translation for an accuracy to satisfy yourself if you so please. Remember: you don’t have to accept what Lotuschef shared, you have CHOICE! Because Communist Chine do not restrict the practice of Qi-gong, and it is difficult for Religion to develop, Qi-gong speedily spread strongly, with much strength. The swift development of Fa Lun Gong is due mainly to [Qi-gong in healing illnesses] and [Religious mindset], erecting its own pack or set of [Beliefs Theory], this is already different from most Qi-gong already. Some say, Fa Lun Gong is Qi-gong, because have “Gong” methods/practices. I choose to differ, as it also talks about [Turning Dharmachakra], [Affirmed Realisation], [Realms], this already is Religious arena. My view is that Fa Lun Gong amassed followers to gather at Beijing’s Zhong Nan Hai, this is already staging a [Mass Protest], for those with a wee bit of wisdom, will also understand this is exactly a show of Mass Strength. 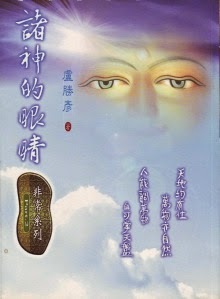 In this period where Dharma is vanishing, moral standards of beings in Saha world become lost, those that commit sins and crimes are on the rise, cultivate or diligently cultivate Buddha Dharma population are diminishing, at this time, Communist China has barely loosened restriction on religion, and now with [Fa Lun Gong’s incident], looks like the Door of convenience is going to be tighten again. I conclude that the [Fa Lun Gong’s incident] is not fortunate. It is Calamity. recall the article about Religion & Politics in this blog? [Picking arguments & fights with others, is just not the way of Buddhas & thus also All Buddha’s students, concur? Now think: The Mass got Misled into the Political Arena for ONE person’s craving of sentient power, adulation, fame, fortune,…..? Isn’t this the same scenario everywhere? A close-by one should be TBS’s admin & all that crave to “Take-over” and manage or control TBS, concur?